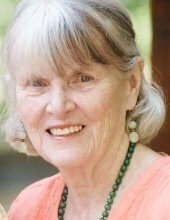 Anne Marie Miller, of Rolla, Missouri, passed away on Friday, April 12, 2019 at the age of 87. Anne was born in the Bronx, New York on March 12, 1932 to the late James J. Johnston and Anna Maria (Farrell) Johnston. Anne attended St. Nicholas of Tolentine School in the Bronx, New York and earned her Bachelor’s Degree in English from Empire State College, State University of New York in 1984. She has been a resident of Rolla for ten years and was a faithful member of St. Patrick’s Catholic Church. Anne’s life was filled with love and loyalty and she will be greatly missed by her surviving family, which includes two daughters, Nancy-Ellen “Nan” Magdits and husband Louis IV, of Rolla; Patricia “Trisha” Foxe, of Columbus, Ohio; two sisters, Jane Dolan and her husband Jim, of Maryland and Grace McCormick and her husband Kevin, of California; three grandchildren, Jordan Real and husband Nathan; Louis John Magdits V and wife Anne, and Ian Paul Magdits and wife Annie; four great-grandchildren, Lachlyn, Louis John VI, Remington, Genevieve and one new arrival due in May; along with nieces, nephews, extended family members and dear friends. A Celebration of Life with the family will be held from 4 pm - 6 pm on Thursday, April 18, 2019 at the Null and Son Funeral Home in Rolla. Interment will take place on a later date at Gate of Heaven Cemetery in Hawthorne, NY. Memorial contributions may be made to the Joy of Caring Cancer Fund through Phelps Health Foundation or the Rolla Animal Shelter Building Fund. To send flowers or a remembrance gift to the family of Anne Marie Miller, please visit our Tribute Store. "Email Address" would like to share the life celebration of Anne Marie Miller. Click on the "link" to go to share a favorite memory or leave a condolence message for the family.